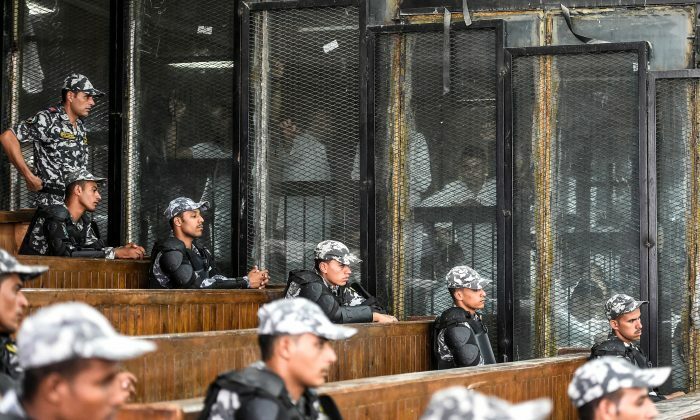 An Egyptian court said on Saturday it would transfer the cases of 75 people accused of security-related offenses, including senior Muslim Brotherhood figures, to Egypt’s top religious authority to decide whether they should be sentenced to death. The 75 cases transferred to the Mufti for his verdict include those of senior Brotherhood leaders Issam al-Aryan, Mohamed Baltagi and prominent Islamist preachers Safwat Higazi and Wagdi Ghoneim, judicial sources said. Forty-four of the accused are in prison awaiting their sentence, and 31 have been tried in absentia.